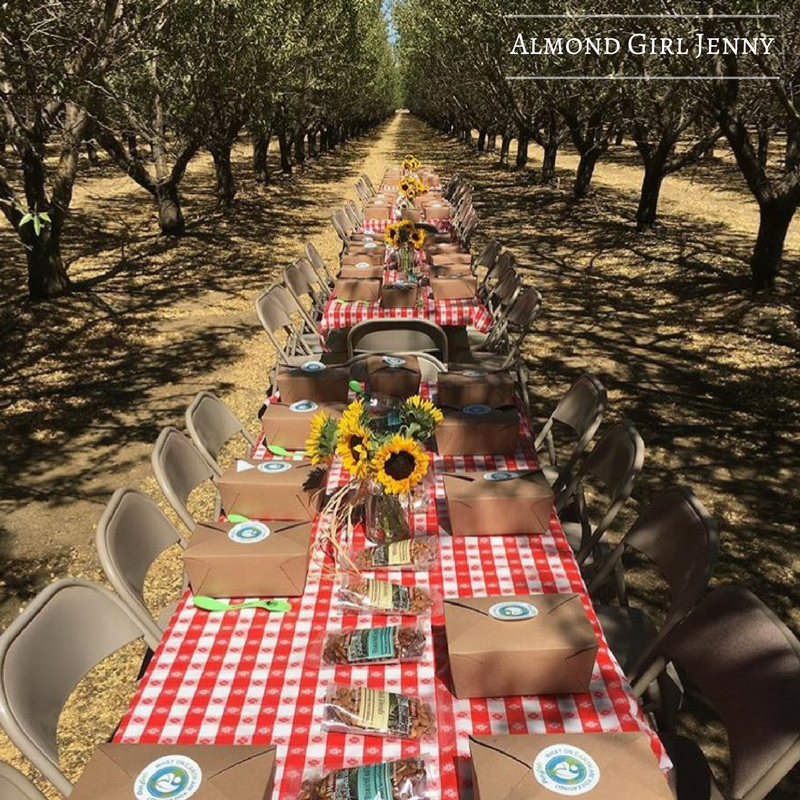 The afternoon started with a picnic lunch in an almond orchard. How else would you enjoy lunch while meeting a farmer? I loved this, and I loved that he was so welcoming to our group being in his orchard. Let me remind you, I attended this farm tour in September, during almond harvest. 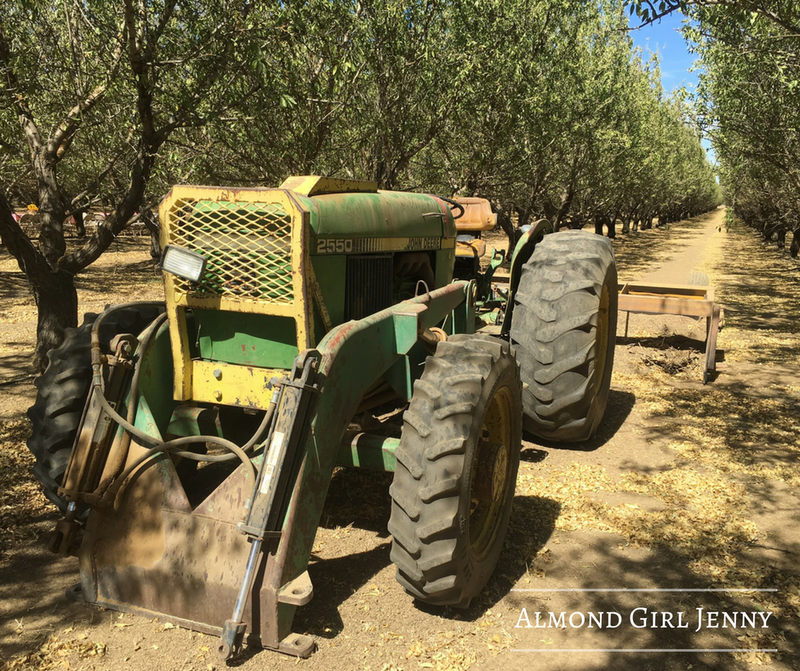 There were almonds on the ground in windrows, waiting to be picked up, and they stopped everything so we could have lunch in an orchard. I don't know how many people appreciated this, but being a farmer I appreciated it immensely. Matt shared the history of his family while we ate lunch. His family members are Croatian immigrants from Santa Clara and settled in Winters in the 70's to start farming. They knew then how fertile and valuable the land was and invested in it for the future. Today, Mariani Nut is one of the largest, family owned almond and walnut processors in California. Matt leads sales and marketing for the company now. They may still be a family run business, but their reach is beyond that. They employ 200 people at the processing plant just up the road. Because of their size, they are able to operate year round and keep all but 5% of the employees on an annual basis. 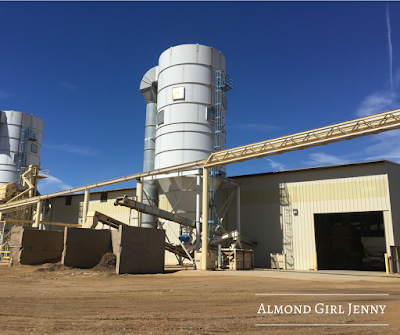 They operate a huller, sheller and processor in one. I have toured a huller and sheller before as well as a processor but never all at one facility. They are unique that once product arrives fresh from the field, it stays there for all processing until it is ready for the consumer. I wish I could have taken you all inside with me. It was a sight to see for sure. Due to the nature of the business and competition I couldn't take pictures and I can't share with you their trade secrets from behind the processing wall. The huller and sheller runs for 4-5 months during the peak harvest season. 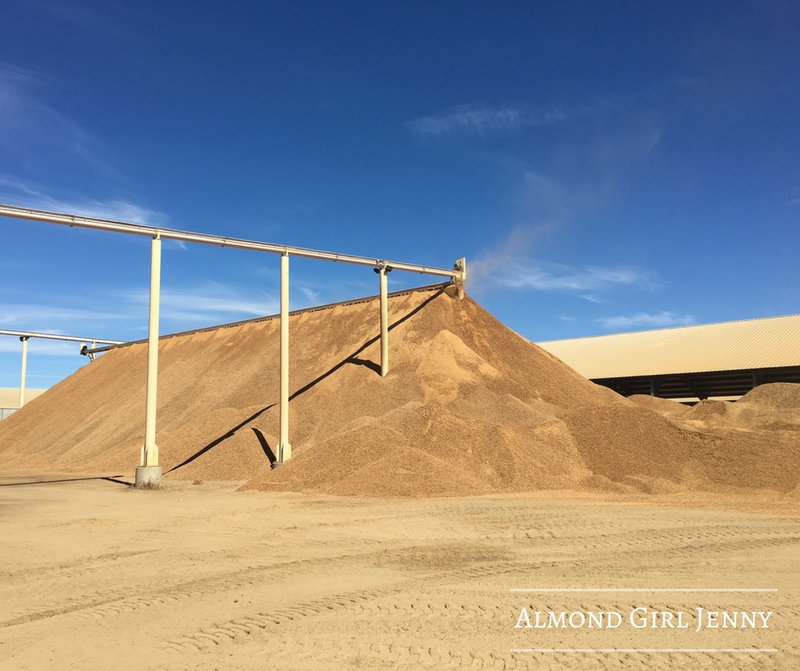 They will then store the shelled almonds and process throughout the year as demand comes in. With 75% of their crop staying in America and the balance going overseas, they have much more control over when they process their crop. To give you some perspective that massive pile of shells wasn’t even half of what it would be at the end of harvest season when they are done shelling the almonds. They market their product in natural, whole, sliced, diced, slivered, chopped and blanched. They even have a seasoned line of all kinds of yummy flavors. Mariani is an example of a diversified and integrated company who really does do it all. 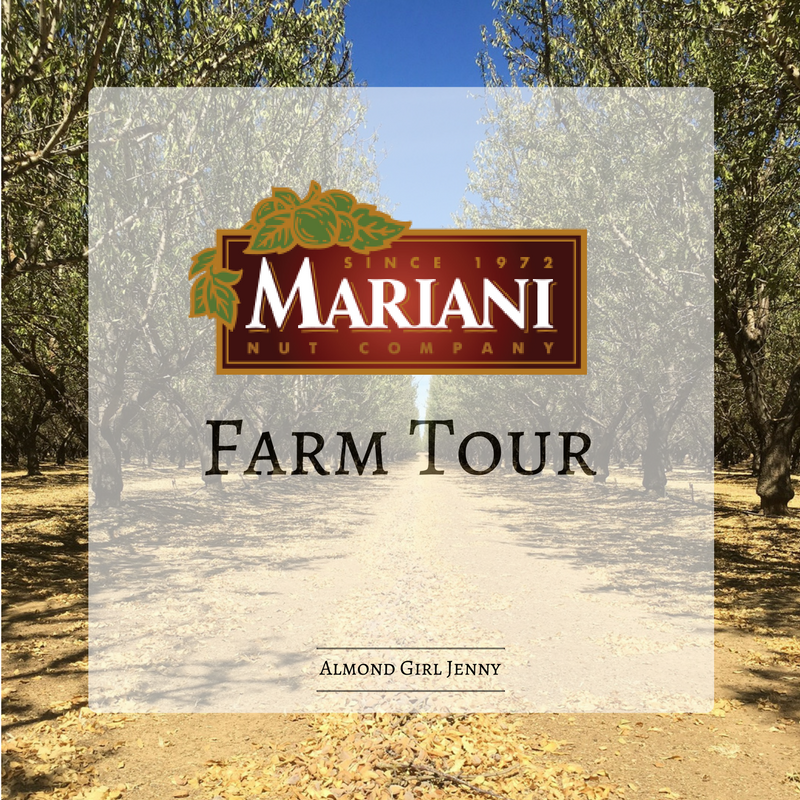 From farming, hulling, shelling, processing, marketing and selling a Mariani family member has their hands in creating a quality, healthy and delicious product ready to enjoy!